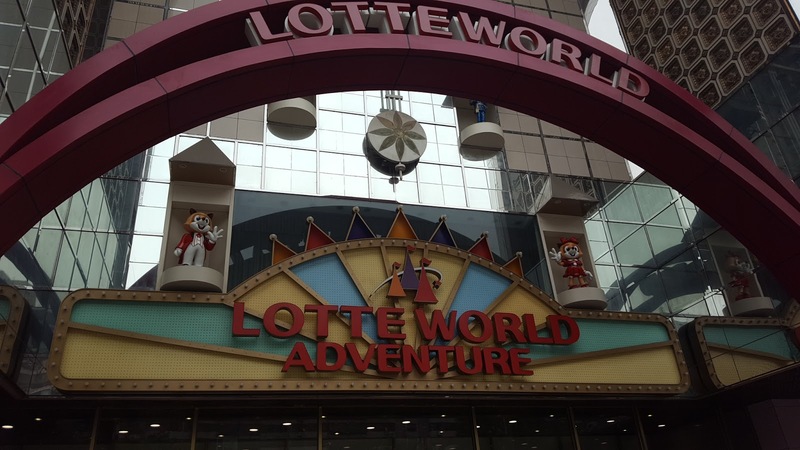 Lotte World, along with Everland, are the most popular amusement parks to visit in Korea. 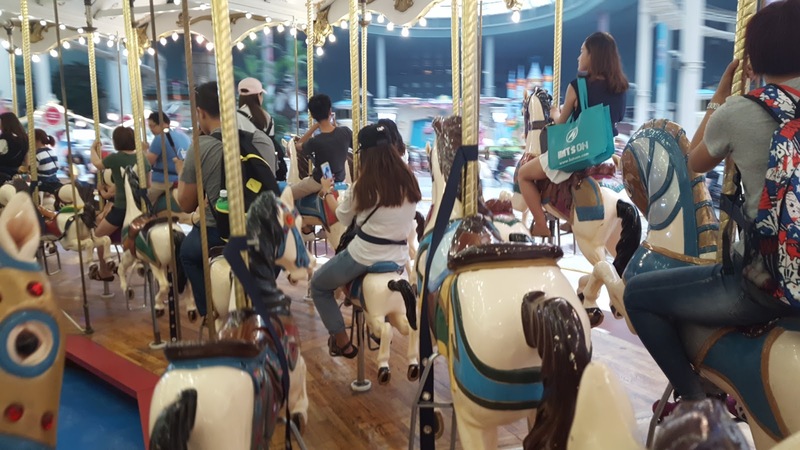 Lotte World is a more kid-friendly spot with lots of interactive attractions, and a few thrilling rides whereas Everland is a bigger amusement park with many more rides, including the intimidating wooden rollercoaster. 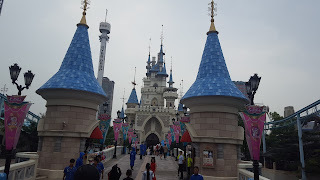 Unfortunately, I only had the chance to visit Lotte World again since it was much closer than Everland. It is located at Jamsil Station (Line 2). There are 2 sections of the part, the indoor section and the outdoor section. Some of my favorite rides indoors include the Pharaoh and the mini water ride. 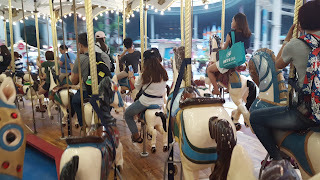 A popular ride is the Conquistador, commonly referred to as the biking, which is a boat that constantly swings back and forth, nearly reaching 90 degrees. 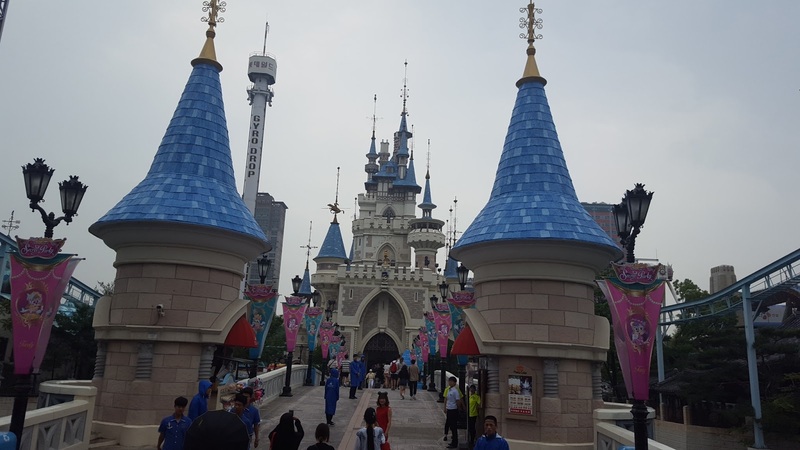 Personally, I dislike this ride, especially when it drops forward. Others include a hot air balloon, a 360 degrees roller coaster, a haunted house, a carousel, 4D stimulations, etc. 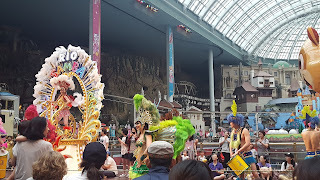 The rides outdoors include the Gyro Swing, bumper cars, and my favorite, the Atlantis. 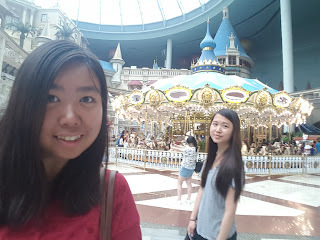 The Atlantis is the biggest rollercoaster they offer at Lotte World, but is definitely worth waiting on the long line.